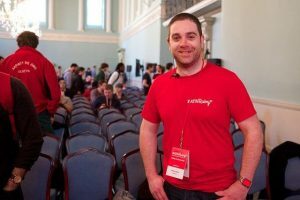 Bath Ruby, one of the best conferences for Ruby developers, tech enthusiasts and the code-curious is returning to Bath this 22-23 March 2018. Bigger and better than ever before, the conference is being held at The Forum across 2-days with both local and international speakers, including the creator of the Ruby programming language itself, and covering everything from incredible digital art to the secrets of big brands’ tech success. With excitement for the event building fast, we caught up with Simon Star (pictured left), organiser of Bath Ruby, to find out more. TechSPARK: Bath Ruby 2018 is twice the size of previous events! What brought about its expansion after a year’s break? Simon Starr: 2018 marks Ruby’s 25th anniversary so I wanted to do something a bit special this time around. Plus, having taken a break last year, I thought it was only fair that I add an extra day to make up for lost time! And moving to a bigger venue this year means that more tickets are available, which means that we can raise more money for charity. I donate 10% of the proceeds from tickets sales and in 2018 we’re well on the way to raising over £4,000 for Bath Cats & Dogs Home. TS: Who’s Bath Ruby 2018 aimed at? And why should they buy a ticket? SS: Despite its Ruby focus, the conference is really suitable for anyone with an interest in writing software. I personally invite all of the speakers and try to curate an event with a broad range of talks that everyone will enjoy. Aside from the talks, I think the appeal of any tech conference is the “hallway track” – meeting people who share your interests and the conversations that start over coffee in between sessions. To help with this we’ll be providing free refreshments all day long and there’ll be plenty of space in the break-out areas. I’m also planning some fringe events and, of course, we’ll be putting on a free after-party for attendees after the conference finishes on Friday evening. TS: What’s the lineup looking like now? Any highlights? 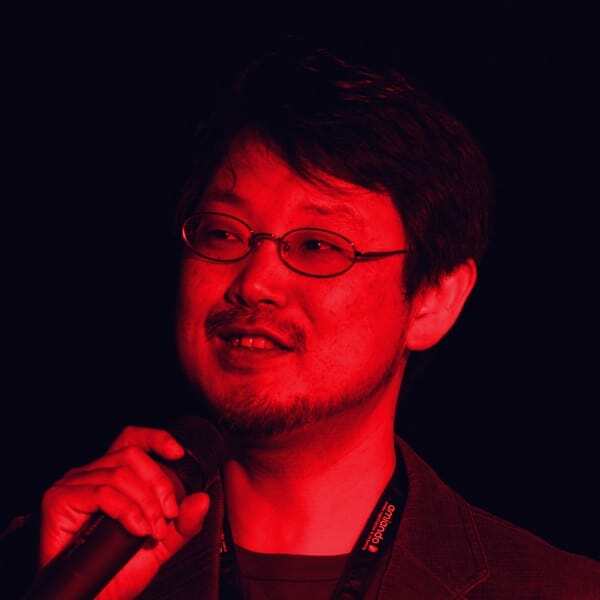 SS: I’m incredibly pleased with the lineup this year; the highlight has to be our keynote from Yukihiro “Matz” Matsumoto (pictured right), the creator of Ruby, but we also have a whole load of other great speakers from the UK, US and Japan, with topics ranging from techniques for making your code easier to understand, to an exploration of deliberately obfuscated artistic programming. 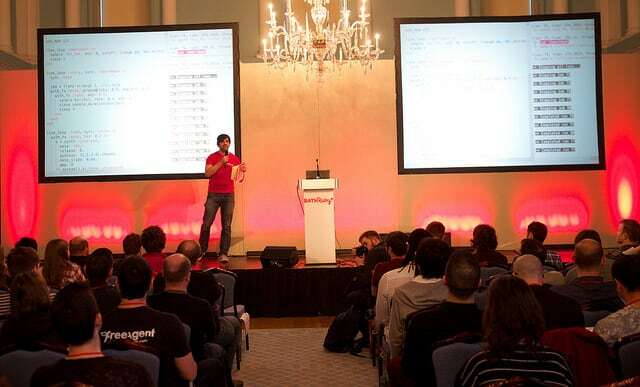 You may like: Missed out on Bath Ruby conference 2016? Catch up with what happened on the day now! Taking on compère duties this time around will be local legend Ruth John – Ruth has long been a supporter of Bath Ruby and I’m delighted that she’s agreed to host the conference. 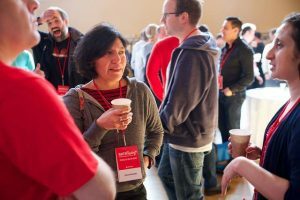 TS: What are you personally most looking forward to at Bath Ruby 2018? SS: Planning an event of this size can be pretty stressful at times, so I’m most looking forward to opening the doors on the first day and getting it off to a smooth start – that’s the first point at which I might be able to relax and enjoy it! As I mentioned before, I love the social aspect of conferences like this, so I also look forward to catching up with old friends, making some new ones, and meeting people that I usually only speak to online. TS: How will Bath Ruby benefit Bath and the overall South West tech community? SS: Bath Ruby is the UK’s largest Ruby conference and it attracts people from around the world (this year we’ll have attendees coming from as far as Ukraine, Canada and Argentina!) so I hope that it helps to draw attention to the thriving local tech scene. Another reason for putting on the conference is to raise the profile of Ruby in the South West. After 25 years the language is more popular than ever and a number of local firms are hiring Rubyists, but many are struggling to find people because there’s a shortage of skilled developers in the region. 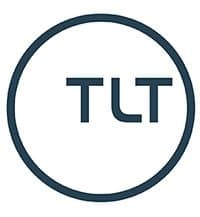 If anyone reading this is interested in learning Ruby then I’d encourage you to come along to the conference and find out what makes people love it so much. TS: Are there any other ways people or companies can get involved? SS: Tickets for the conference are still available and it would be great to see a big turnout from local companies. If anyone would like to attend but can’t afford to for any reason, then I’ve made a number of free tickets available through the Diversity Tickets website. I’d love to hear from any organisations supporting underrepresented groups who’d like to distribute free tickets to their members. There are still a few sponsorship slots available too, and the sponsors’ support helps to cover the cost of all the extra details which make the conference special. Aside from sponsoring or buying tickets, I’d really appreciate any help with spreading the word to make this the biggest and best Bath Ruby yet! 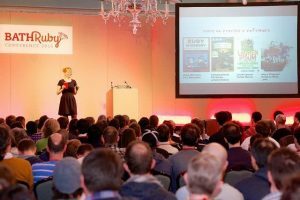 And it gets better, this year you could win two tickets – worth almost £400 – to take advantage of some of the most insightful and knowledgeable speakers on Ruby, as well as getting in on a brilliant local and international developers community. To enter, all you need to do is head over to the TechSPARK Facebook page, click ‘Like’ to follow the page and then share the Bath Ruby pinned post (make sure you share this publicly else we won’t be able to see that you’ve entered). Entries are open until midnight on Sunday 11 March – and we’ll be randomly drawing the winner on Monday 12 March. You can find out more about the conference and purchase tickets via the Bath Ruby 2018 website. You can also stay-tuned by following Bath Ruby on Twitter here: @BathRuby.